Assisted Ukrzaliznytsia, the national railway of Ukraine, develop a commercialization and restructuring plan. This effort involved cost reduction measures including right-sizing staff and facilities, prioritizing investments to support cost reduction and developing a financial forecast of railway operations to support financing for the restructuring effort. For Kazakhstan Temir Zholy, the national railway of Kazakhstan, developed a business strategy and restructuring plan. Recommended structural changes and privatization of non-core and rail supply industry functions, cost reduction measures including right-sizing staff and facilities, investments to support cost reduction and marketing and financial plans. For the government of Uzbekistan and the Uzbekistan Railways, HWTSK developed a strategy to strengthen and extend reforms already taken. The work included development of a business plan and traffic forecast for core railway functions, analysis of non-core units to be separated, preparation of financial evaluation of each unit, and the development of recommendations for mitigation of restructuring impacts. Advised the Ministry of Petroleum and Minerals of Saudi Arabia in negotiations with investors relating to the development of a new railway linking ports to minerals production areas on a Build-Operate-Transfer basis. For Kazakhstan railways, prepared a comprehensive business plan addressing government railway relationships in pricing and provision of non-compensatory services, marketing and pricing strategies, cost reductions actions, and investment plans. The plan identifies where KTZ can reduce staff—a high government priority—from 152,000 to 42,000. On the basis of this business plan, EBRD entered into an agreement with KTZ and the government of Kazakhstan for a $65-million loan for railway maintenance equipment. Helped Ukrzaliznytsia, the national railway of Ukraine, develop a commercialization and restructuring plan. 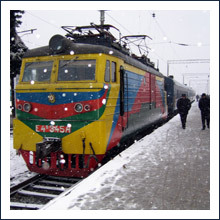 This effort involved defining the role of UZ and the Government of Ukraine in the provision of passenger services, setting out a package of cost reduction measures, prioritizing investments to support cost reduction and developing a financial forecast of railway operations to support financing for the restructuring effort.. This commercialization strategy was the basis for an EBRD loan of some $50-million to UZ, guaranteed by the government of Ukraine. Working with the World Bank, HWTSK prepared an analysis of the operations and cost structure of the Armenian Railway, developed a restructuring plan, and a business plan based on the approved restructuring strategy. Working with the Uzbekistan Railways and Asian Development Bank, HWTSK developed a rail sector financial model, 20-year traffic forecast, and flexible investment plan for the development restructure strategies for the national railway. The business plans developed in this project were used to develop an implementation strategy and privatization strategy by the government and railway. HWTSK principals have worked with railways and rail industry suppliers in the identification, planning and implementation of strategies to reduce cost, enhance service, and grow market share through operations and service improvement activities, sharper pricing and strategic investment programs. 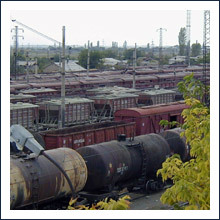 Cost reduction strategies range from improved use of network resources (e.g., marshaling yards and terminals, rolling stock), to specific improvements in the operation of workshops, track maintenance activities, line capacity analyses, and restructuring operating departments for greater effectiveness. HWTSK principals have conducted operations improvement strategies, process re-engineering projects, and worked with commercial enterprises to redesign work flows and find ways to allocate scarce resources for improved financial performance. Mr Klein developed an operating and maintenance plan to reduce contractors costs for the New York State high-speed French-built turbine-electric passenger trains. He converted Amtrak's conventional timetable-based repair and serviceing procedures into a model attractive to private-sector contractors or for public-private partnerships. For CSX Transportation, directed a long run program to improve service reliability and reduce costs. The work included process reengineering in operations management, service design, equipment management, as well as the development of new organization structures and strategies. The program established that service reliability was associated with low operating costs and improved equipment utilization. The Service Reliability Project developed and implemented improved practices in crew and locomotive management and established the service lane concept of operations management at CSX. For MRS Logística, analyzed costs and operations of heavy haul and merchandise services, comparing them to benchmark railway services. Identified opportunities for MRS to reduce its costs, particularly in maintenance of track, maintenance of locomotives and fuel consumption. 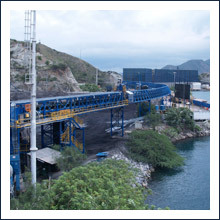 Developed investment strategies to transform the company’s iron ore operations. For Siemens, developed an operating and maintenance budget, including staffing rosters, for Amtrak's first attempt at a Mid-West High-Speed train investment program, significantly reducing the manpower and downtime required to deploy a fleet of advanced technology trains in North America. 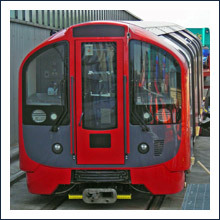 Helped the London Underground reduce its costs through a series of projects focused on productivity improvement and strategic investments in technology for capacity and cost reduction. Over the next five years, guided implementation of the strategy, which resulted in an improved physical plant and much improved financial performance. Developed and implemented a new organizational structure for operations management, the Line Manager structure, that helped drive the strategy to fruition. While Vice President & Chief Operating Officer of Illinois Central Railway, HWTSK Principal W.H. Thompson restored the railway to profitability through reducing costs and rightsizing railway assets. 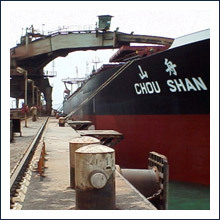 Cost reduction measures included implementation of computer systems, reduction of staff, and downsizing terminal and branch line operations. Commercial success depends on understanding customer needs. Both long term strategies and short term financial performance depend on accurate market forecasts and pricing strategies that maximize returns while also satisfying customers. HWTSK principals have worked with clients to develop meaningful market segmentation, identify market opportunities, and develop an appropriate mix of product, pricing strategies, client communications, and distribution channel design. We have also helped clients implement decision support systems that provide the cost, revenue, and operational information needed for effective market analysis, and the design and development of new product initiatives. Analyzed the traffic flows, major market segments, customers and competition for an existing national freight railway and for a proposed new passenger railway in a competitive multi-modal environment. From this analysis, identified opportunities for returning business to the railways and developing new business and highlighted needed changes in the railways’ approach to product design and differentiation, pricing, customer communications and sales channels. Recommended structure and functions for the railways’ Marketing and Sales Departments. Identified high impact projects, designed to launch the marketing effort along with recommendations on goals, incentives and training. Analyzed the market for railway tank cars in an environment characterized by a changing industry structure, rapidly evolving regulatory regime, and increasing rail-on-rail competition. For a leasing company, reviewed the long term market for railway rolling stock (both locomotives and freight cars) and developed a technique to more accurately estimate residual values and adjust for different market timing characteristics. For a number of equity investors in railway assets, conducted market studies to evaluate the evolving markets for privately owned rail assets world wide (including passenger equipment, locomotives, infrastructure maintenance equipment, and railway infrastructure). Provided financial and economic analysis in many least-to-service financing transactions involving more than $9-billion in railway passenger and maintenance equipment. HWTSK’s equipment financing work includes the Paris, Berlin, Stockholm, and Vienna metro’s, LRV equipment in Stockholm, St Louis, commuter rail equipment, including locomotives, in Seattle, Vienna, Paris, Belgium, Frankfort, and have included TGV and Eurostar trainsets. Served as industry and financial advisors to the IFC for due diligence work associated with lending to private entities in the Russian Federation for railway freight cars and locomotives. Developed a forecast for economic growth and the demand for rail transport of various commodities. Interviewed industry, railway and government officials in Russia on the pace and structure of railway reforms and evaluated the risks faced by private owners of railway rolling stock. Served as financial advisors to the Finance and Transport Ministries of Albania, Bulgaria and Macedonia for the development of the South Balkans transport corridor and other transport infrastructure between the countries. As part of an overall business planning exercise, created a fully integrated financial forecasting model of Ukrzaliznytsia for use in evaluating restructuring options, cost reduction measures and investment impacts. Similar models have been developed for Kazakhstan Railways, Armenian Railways, Uzbekistan Railways, and a number of railway and urban transit systems throughout the world. Performed due-diligence for the sale of a portfolio of leases concerning Amtrak's 110 mph locomotives and intercity coaches. For the World Bank, conducted an evaluation of the efficiency of the road transport industry in India and prepared policy proposals for consideration of Government of India and industry leaders concerning licensing, vehicle technology, taxation of the industry, insurance and accidents prevention. For the Secretary of Transportation and the Federal Railway Administration, analyzed the policy and regulatory environment currently facing US railways. The analysis also considered competitive and economic forces on the industry. The final report, The Future Structure of the North American Rail Industry, was prepared to help the Department define a position and strategy for dealing with future consolidation among the major US rail carriers. For the United States Senate, provided testimony to the Commerce Committee and the Committee on Transportation on the potential for the reform of Amtrak, the national rail passenger carrier in the United States. Developed recommendations for restructuring Queensland Rail, including options of separating infrastructure, maintenance facilities and other assets. Consultancy to the Queensland Rail Corporatisation Taskforce, State of Queensland, Australia.